Why Isn’t Your AC Working? When to Call The AC Repair Professionals. 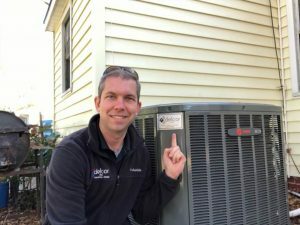 A failing AC system can be frustrating especially in the heat of a Greenville, North Carolina summer. 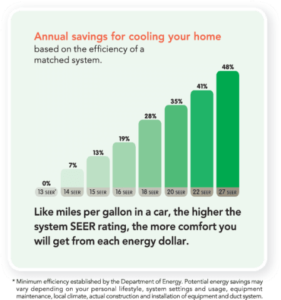 Fortunately, many of the most common AC issues are quick and simple to solve yourself letting you save on a service fee. We’ve listed a few steps to run through before you call your local AC repair professionals. Let us know if one of these works for you. Sometimes the simplest solutions are the easiest to overlook. 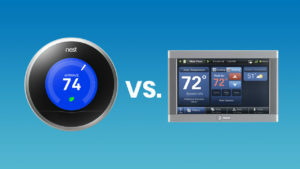 We get several calls every year that can easily be resolved if the homeowner just checks the thermostat. First, make sure the thermostat has power, changing the batteries if needed. Make sure it is set to “cool” and that the fan is set to “on” or “auto.” You can also try lowering the temperature a bit to see if the unit starts cooling. If that doesn’t work, your unit may not be getting power. Go to your circuit breaker and check that the AC switch isn’t off. If it is off, and you didn’t turn it off by yourself, it may be a sign of an issue that requires professional help. There is always a disconnect switch on the outside AC unit and often one on the inside unit. Ensure that neither of these has been switched off. Sometimes they got turned off accidentally. The switches look different on different systems, but they’re easy to spot. They’re typically gray boxes with an “on-off” switch or knob. When was the last time you changed your AC’s air filter? Most homeowners should change their filter every three months or so. If you have at least one furry pet, this should be closer to two months. A dirty or clogged filter may keep an AC unit from being able to cool your home effectively. Changing it frequently can also improve air quality in your home. Many AC units switch off if the drainage line becomes clogged. Often the source of this clog is a buildup of mold or mildew. If this happens, the drainage pan under your unit will likely be filled with water. Fortunately, this is also a quick fix. Just flush the drain line and empty the pan. If you are ever unsure about which pipe to clean, contact your nearby AC repair team. If your AC still won’t blow cool air, it likely requires professional service. Work with an AC repair team you can trust. The Service Professionals at Delcor have years of experience getting AC units back up and running. Contact us at (252) 321-8868 for your quote.